The days are lengthening and there is the occasional sunny day so I have sowed some hardy seeds, several types of cut and come again salads are in Air-Pot propagation trays in the greenhouse. Some will go under the grow light to try and bring on plants for a really early cutting. My homemade compost mixed 4:1 with loam has been used in potato towers to get the early potatoes started. I am using the 50 litre towers which have a base and can be moved. They are in a frost free shed, with compost to about the three quarter level where the air holes stop. Above this height the Air-Pot wall has no holes which allows watering without water spurting out through the air holes. Three tubers per tower are nestled down in the compost, when leaves show the towers can go into the greenhouse and compost can be added to earth up the plants until the tower is completely full. 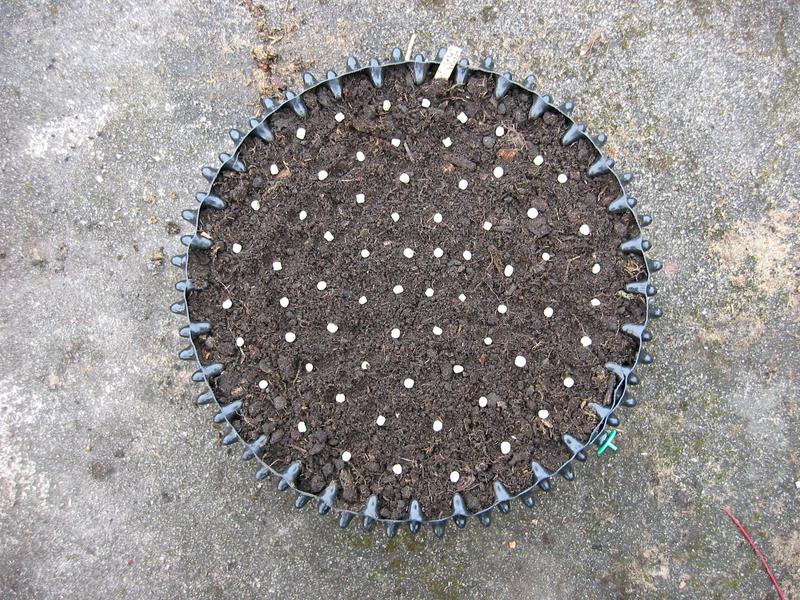 I generally start broad beans and early peas in troughs and lengths of guttering under glass as these seeds are very prone to rotting off in the cold, wet ground if sown direct on the plot at this time of year, and if they don’t rot mice often get them. So I have big Air-Pot seed trays filled with peas and beans, I hope these will grow well in the greenhouse and will transplant without too much of a check in the Spring. 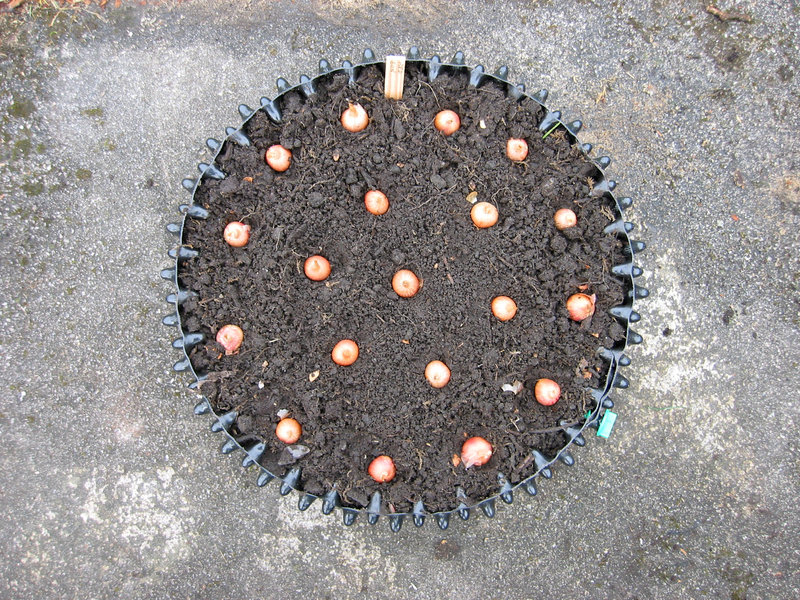 As an experiment I have planted some shallots in Air-Pot seed trays, they are quite close planted so may not get very big but at least I know they will produce some disease free sets for planting next year if disaster strikes the main planting at the allotment. Who knows maybe they will reach a decent size as they will be in the greenhouse, and will be well fed and coddled.